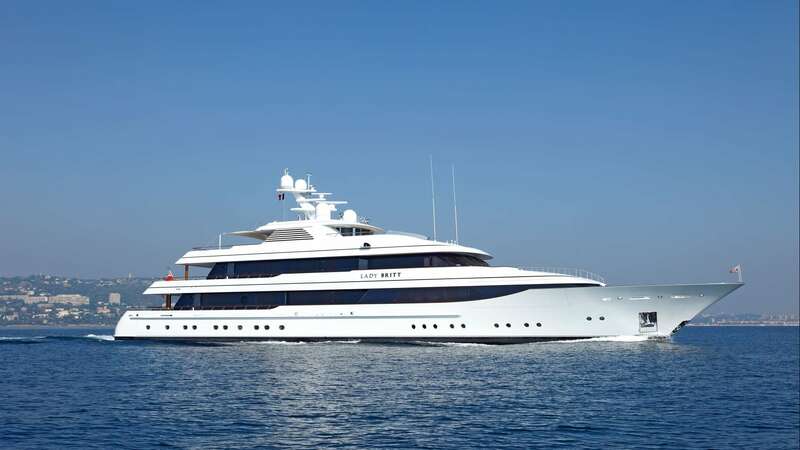 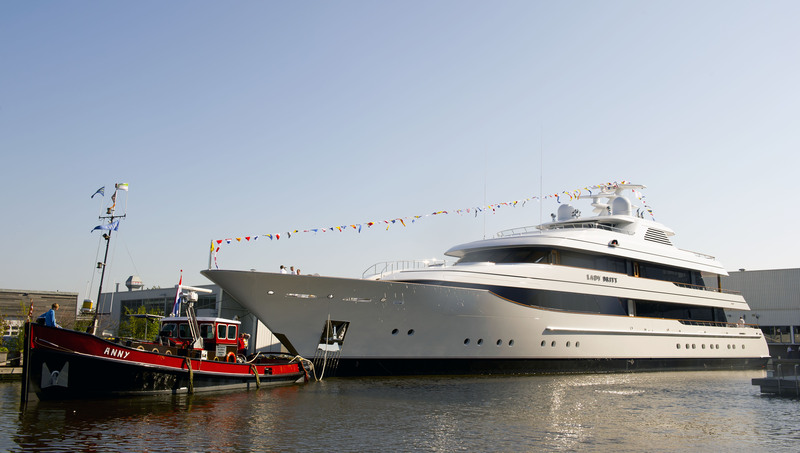 LADY BRITT is a 2010 Feadship yacht which was built by the Koninklijke De Vries shipyard with typical world-class quality. 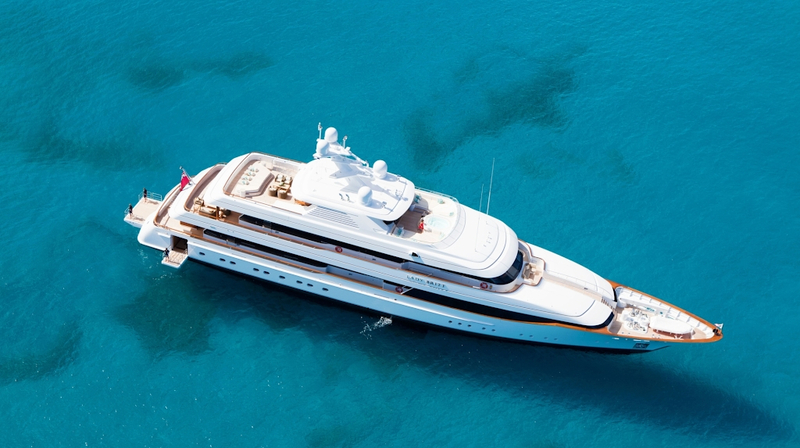 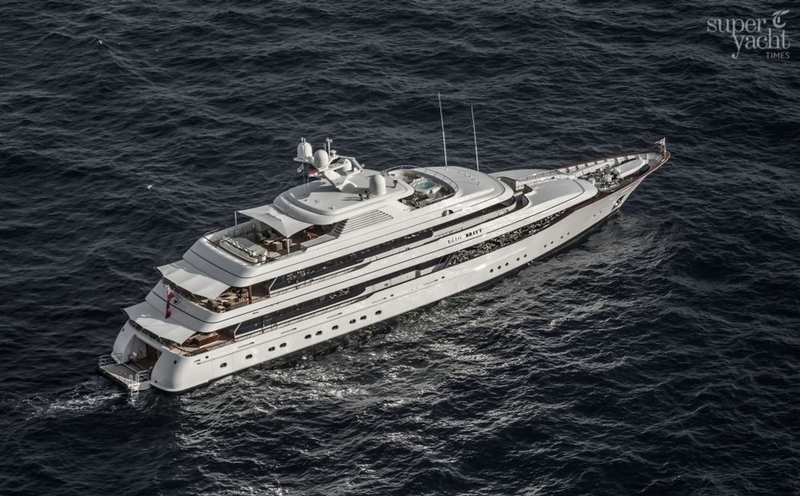 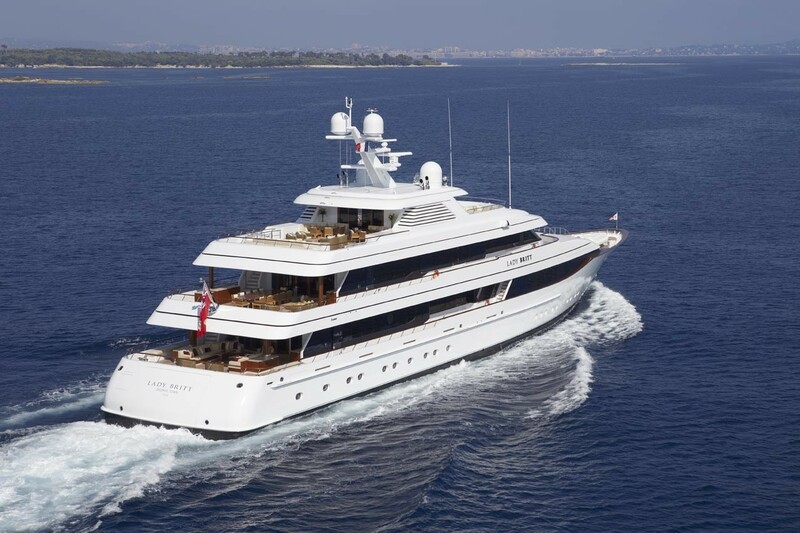 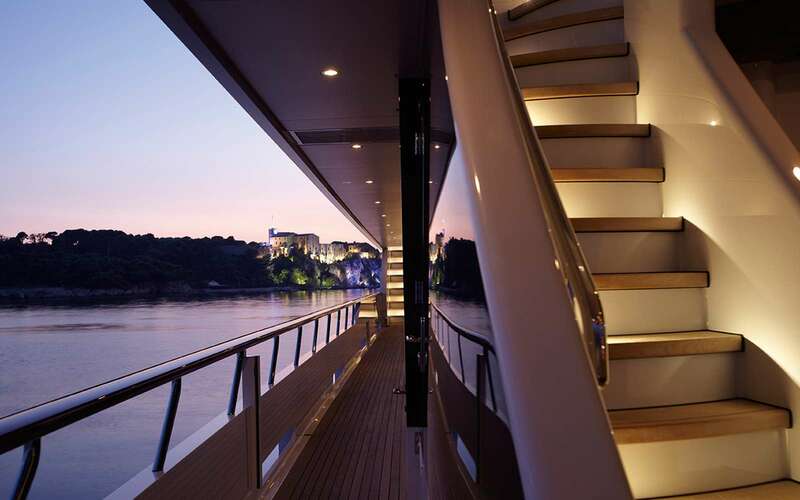 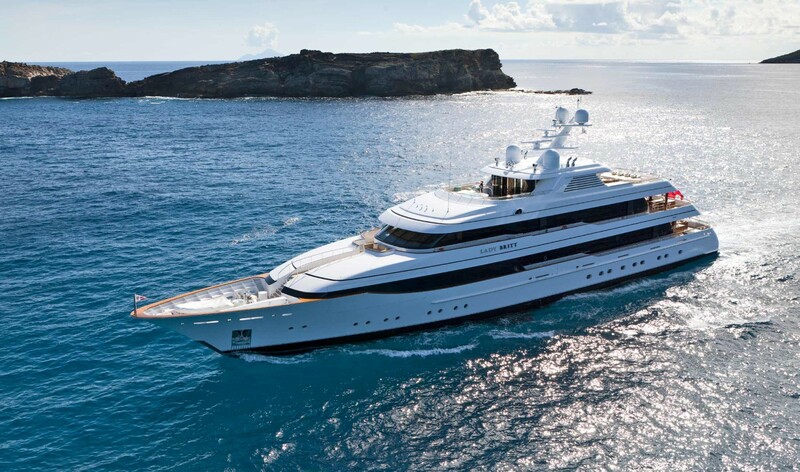 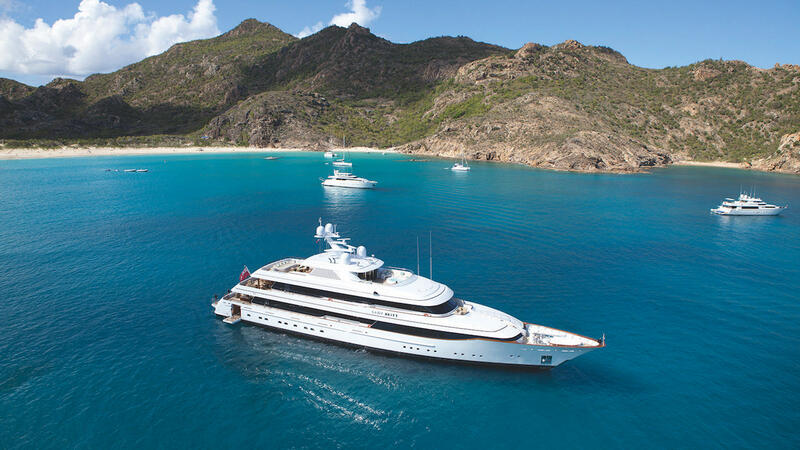 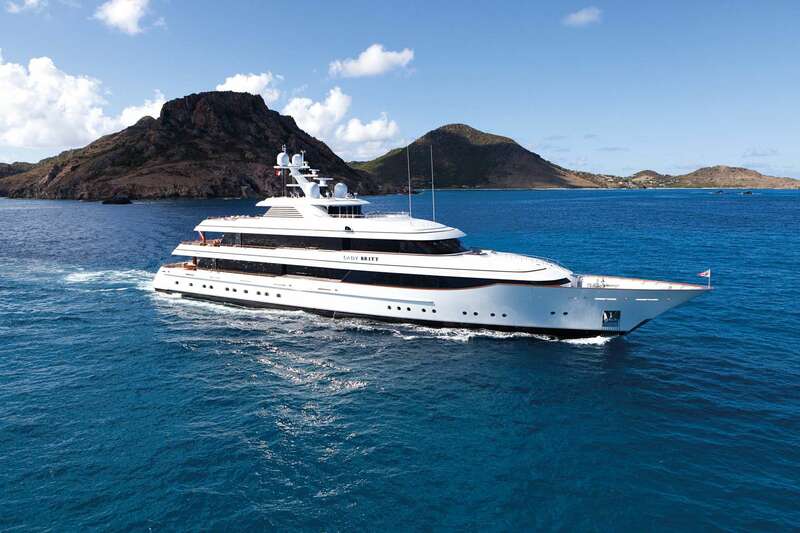 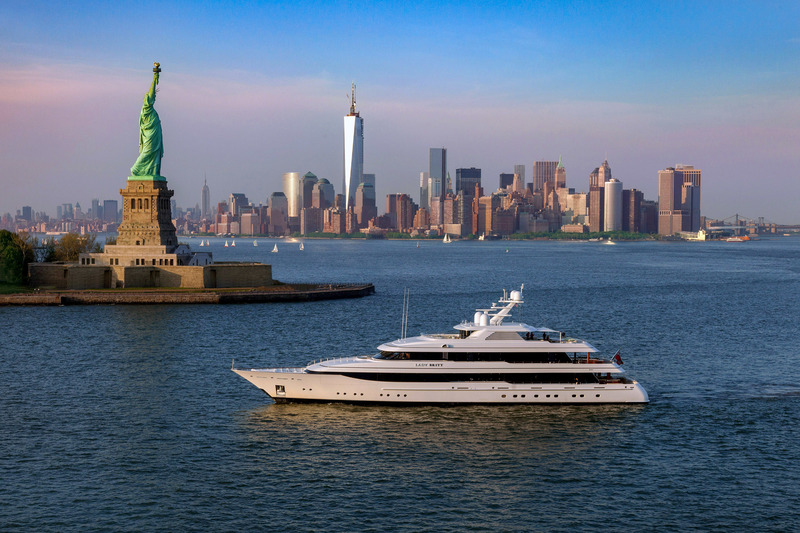 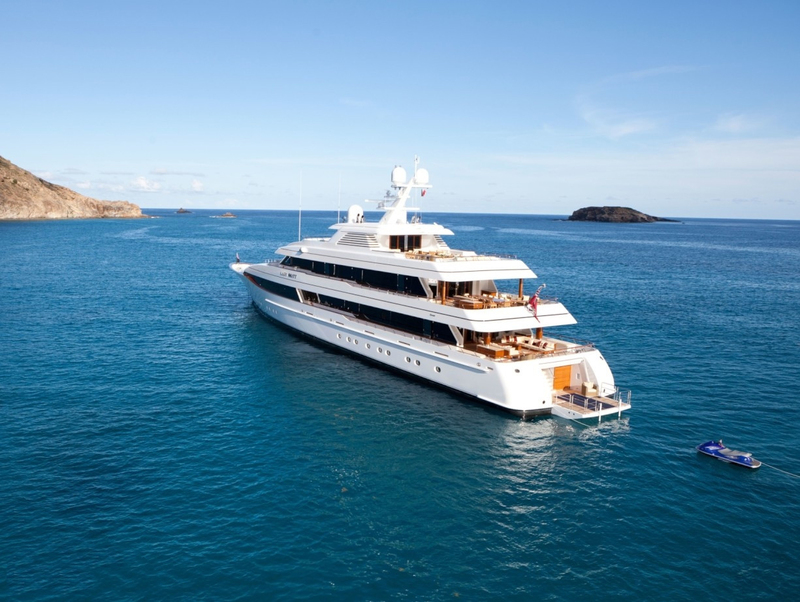 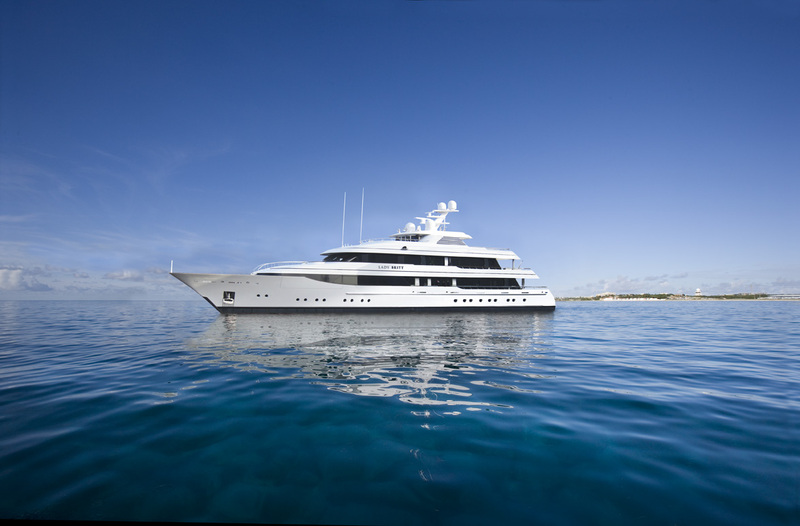 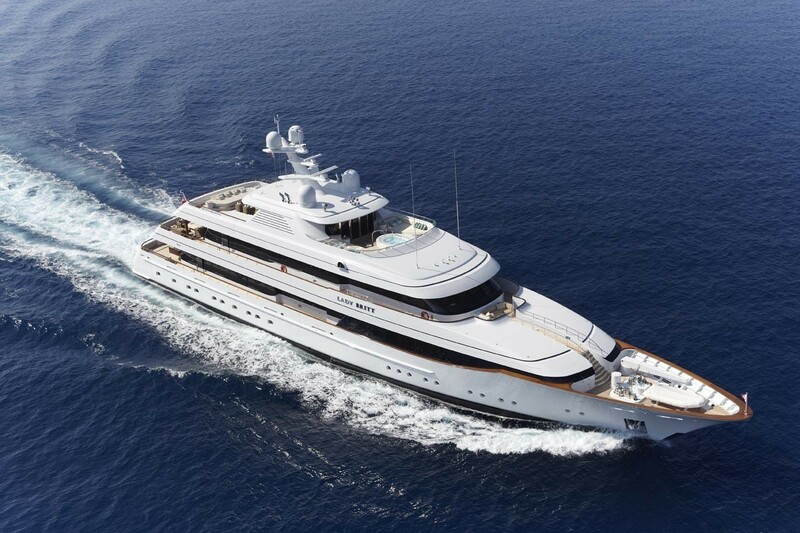 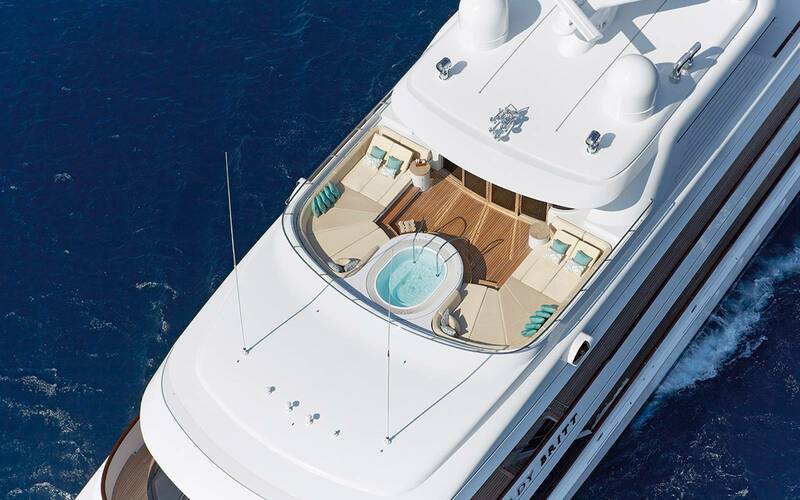 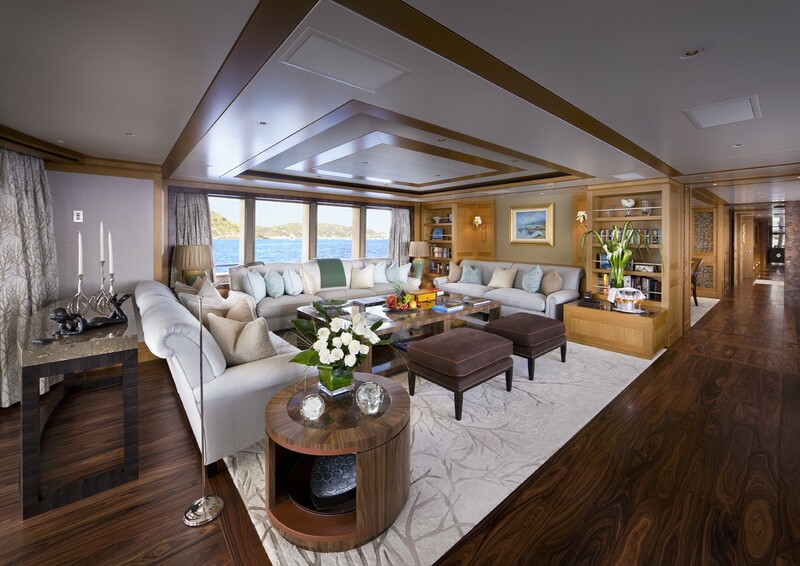 This magnificent 63m/207ft motor yacht features exterior styling and naval architecture by De Voogt Naval Architects, and her interior was designed by the renowned Redman Whiteley Dixon design studio. 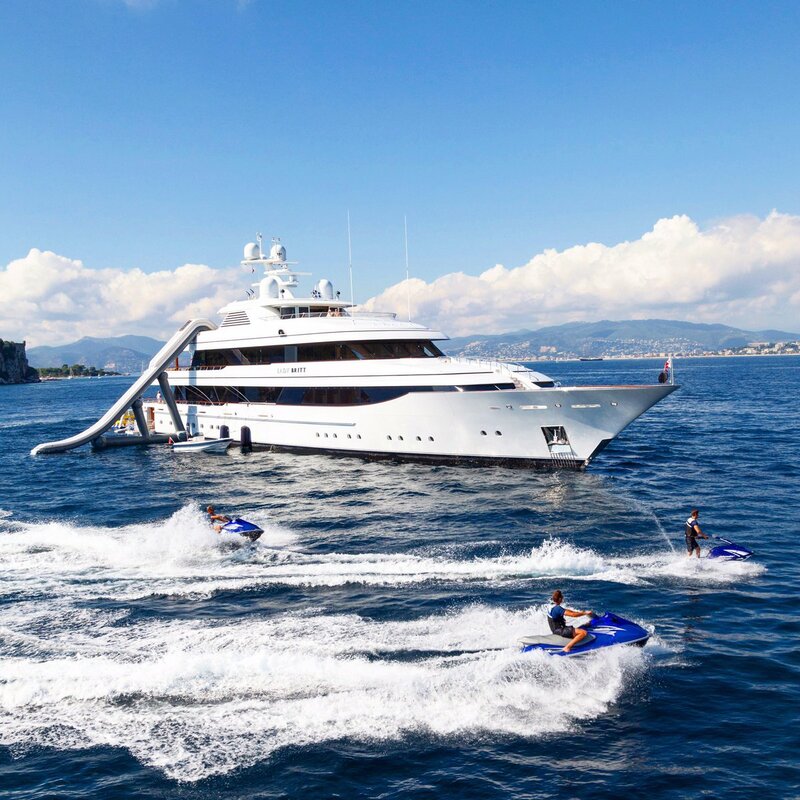 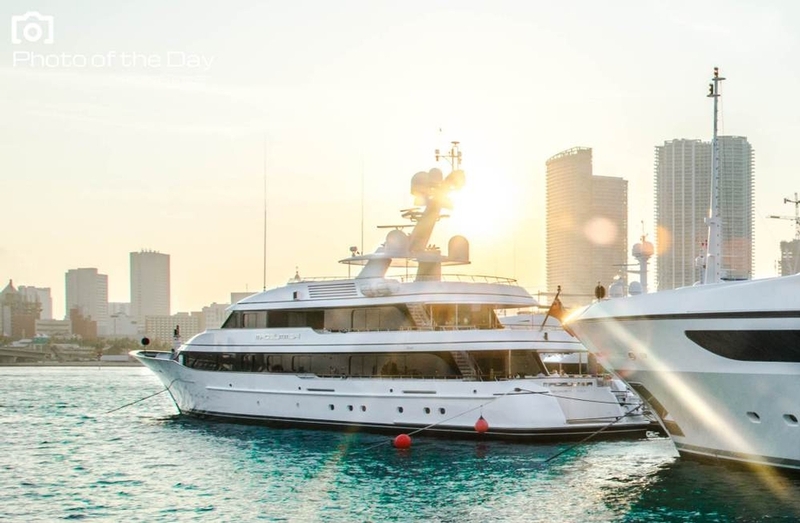 One of the most popular superyachts on the charter market, LADY BRITT offers ultimate comfort to her guests, while a highly professional crew of 16 is ready to cater to all guests' needs. 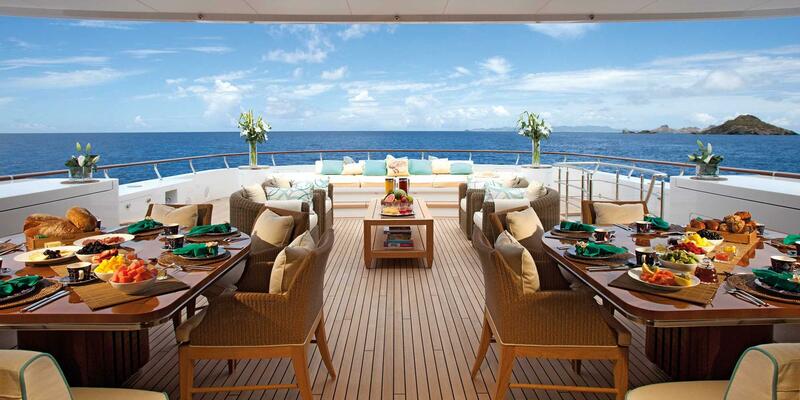 Both indoor and outdoor living spaces have been designed for socializing and entertaining. 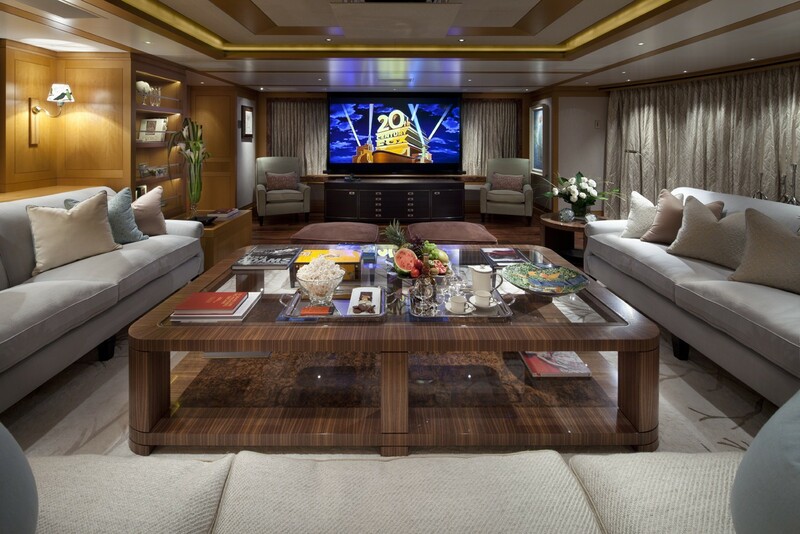 The guests will enjoy watching their favorite movies from the onboard collection, with a choice of indoor and outdoor cinemas. 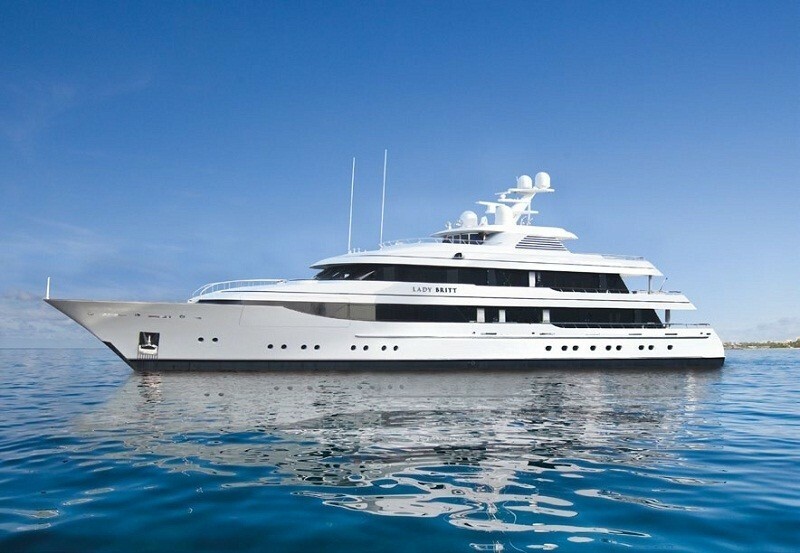 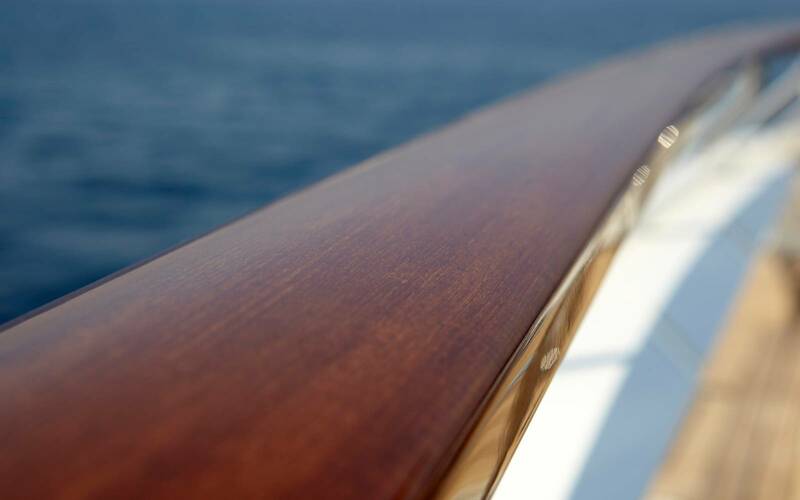 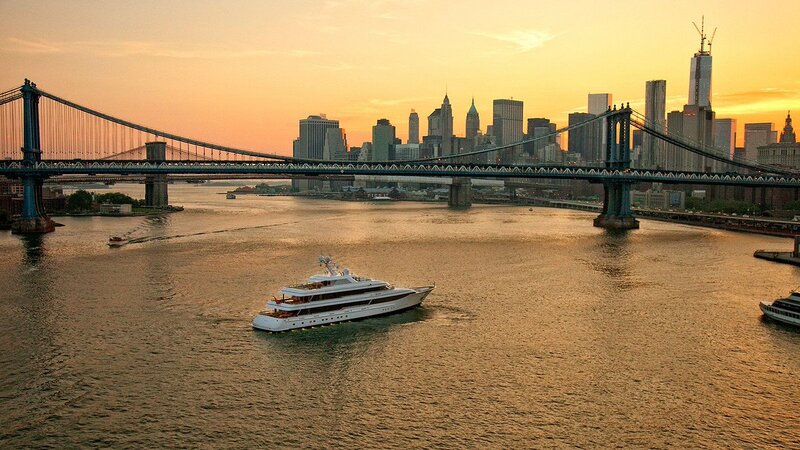 A professional beauty therapist, as well as lavish wellness amenities, will add extra luxury to a yacht charter experience aboard LADY BRITT. 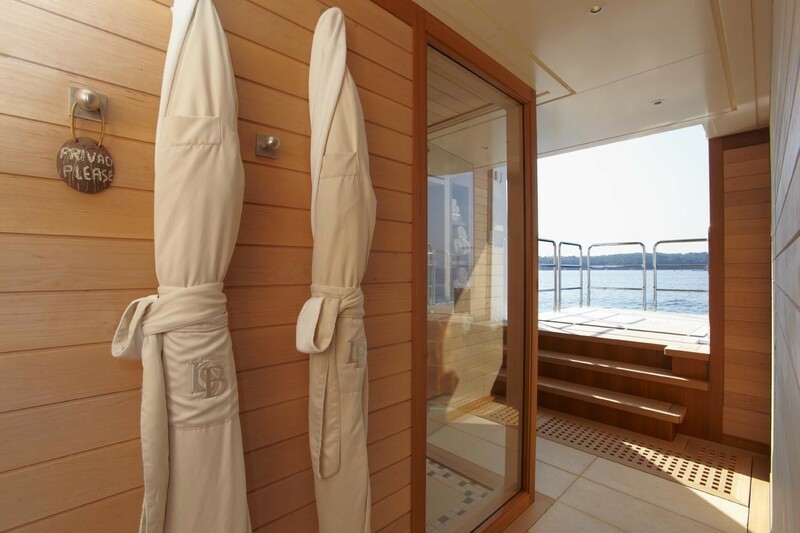 The authentic Finnish sauna is located next to the swim platform and opens onto a terrace. 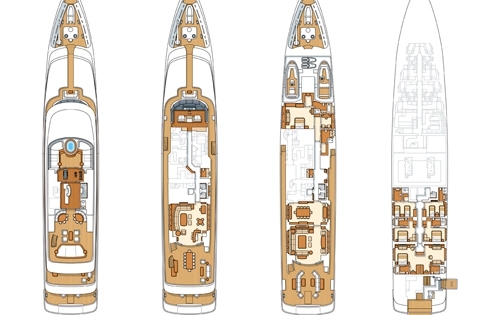 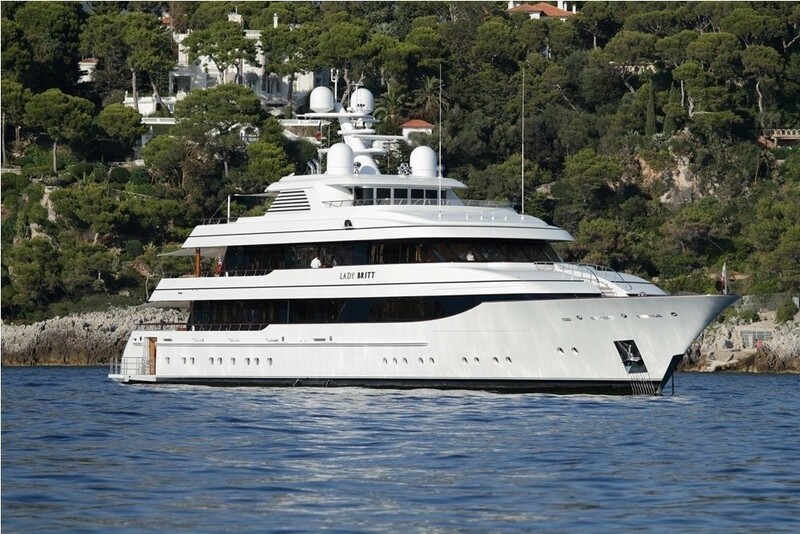 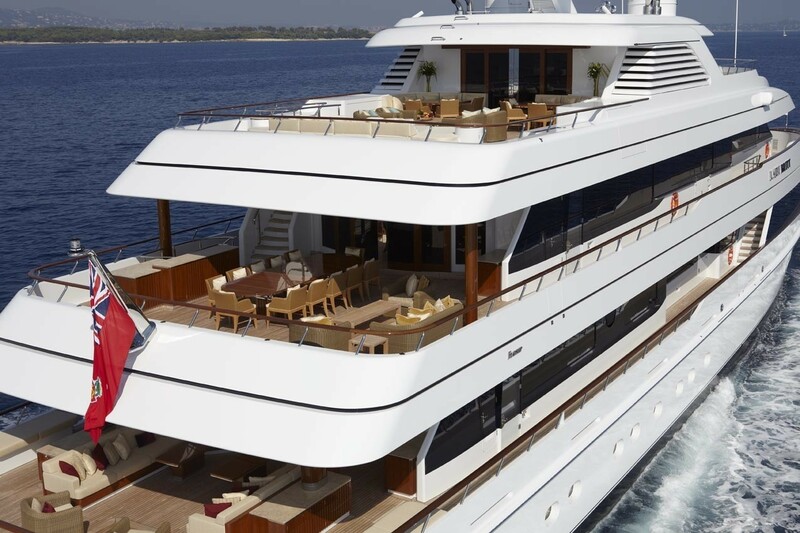 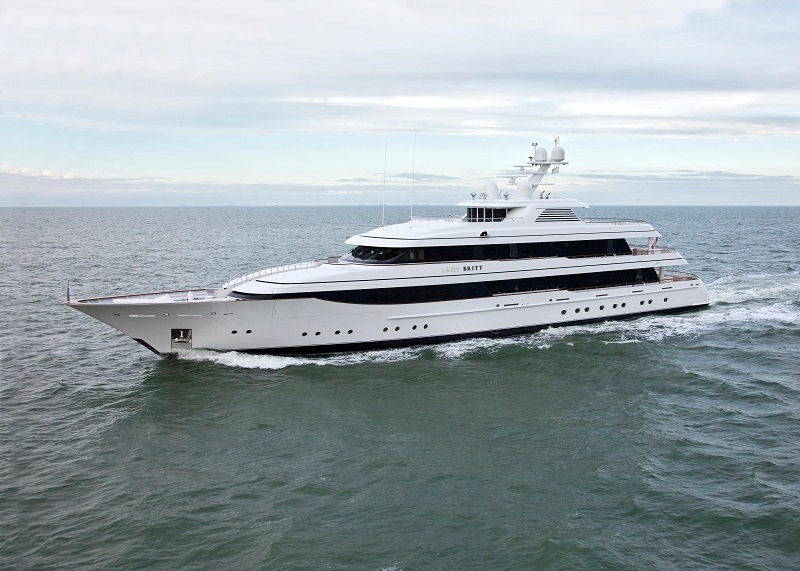 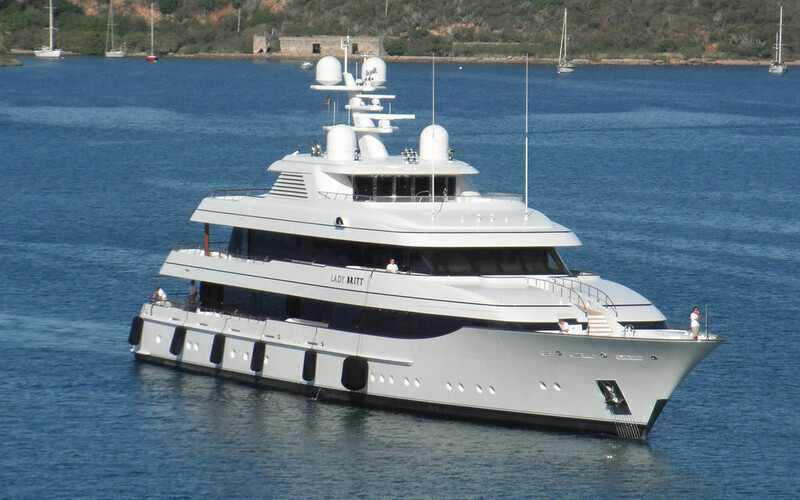 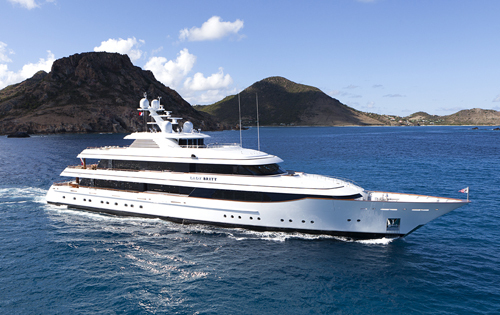 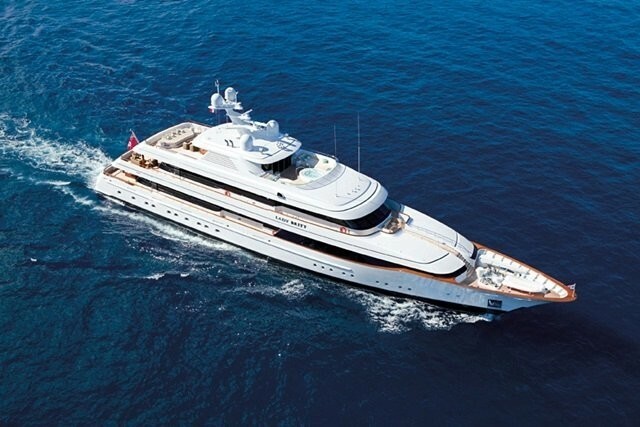 She features a steel hull and aluminum superstructure, a beam of 11.30 m (37'1'') and a draft of 3.5m (11'6'') when loaded. 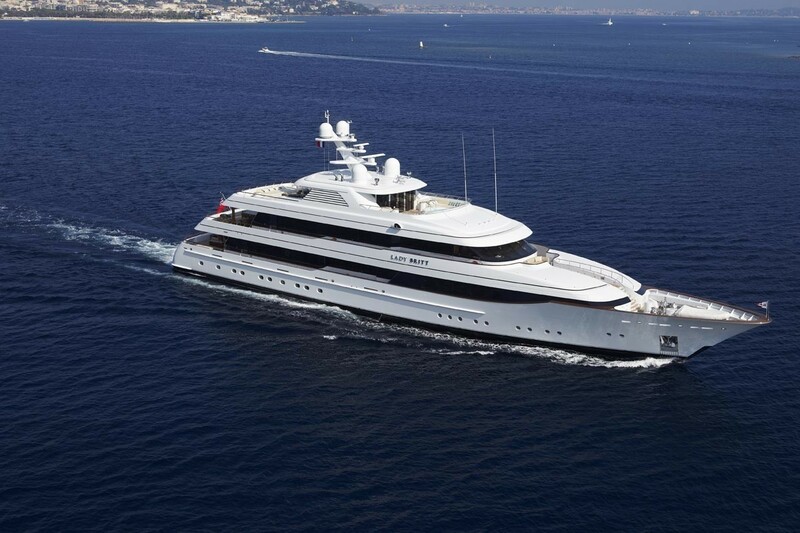 Her fuel capacity is 148,700 l (39,265 US Gallons) and freshwater capacity of 38,500 l (10,165 US Gallons). 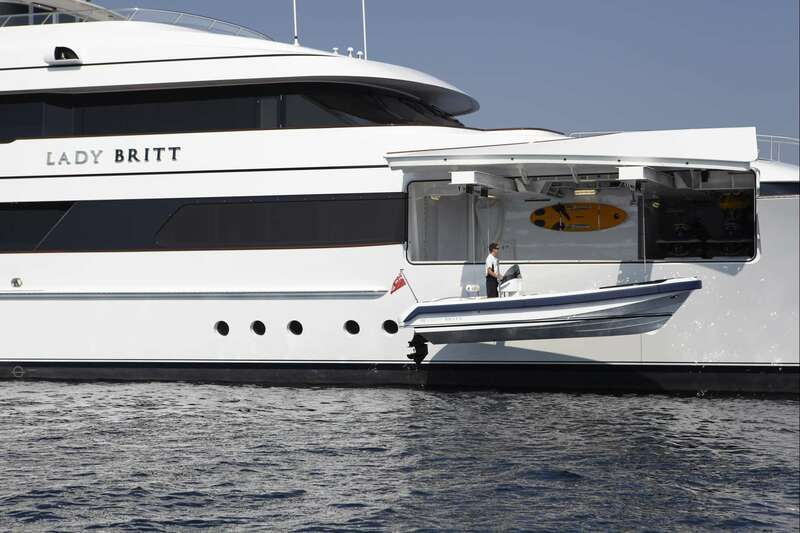 She has two 23 foot yacht tenders. 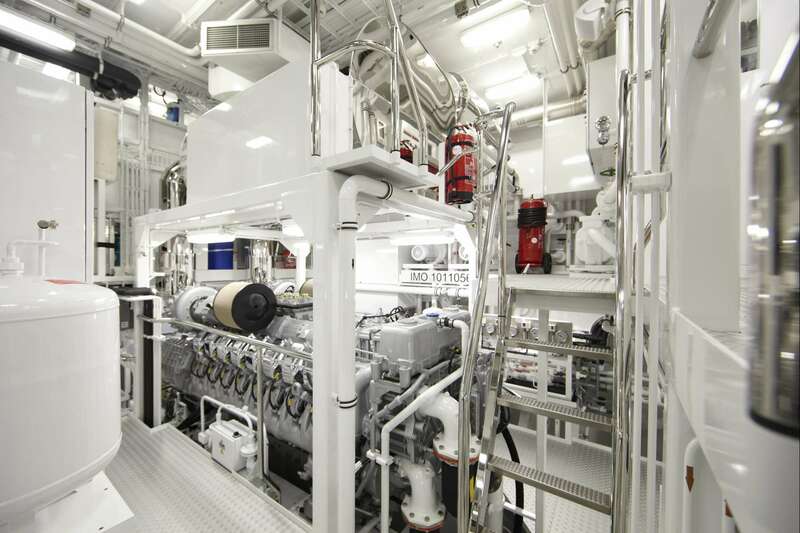 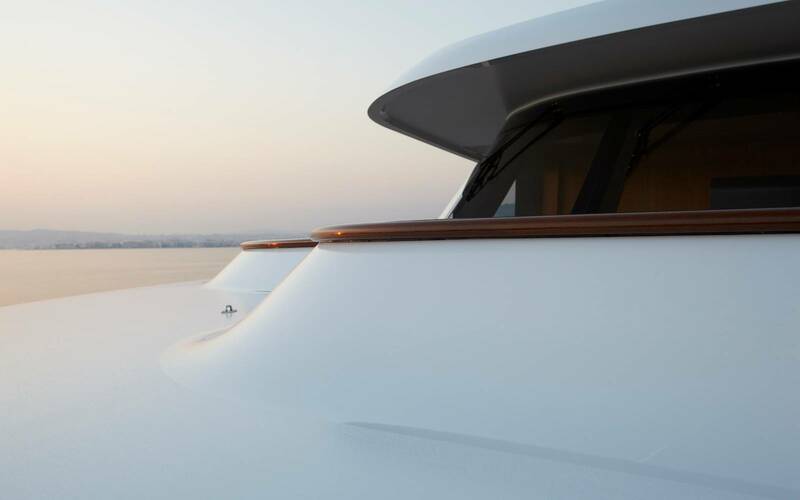 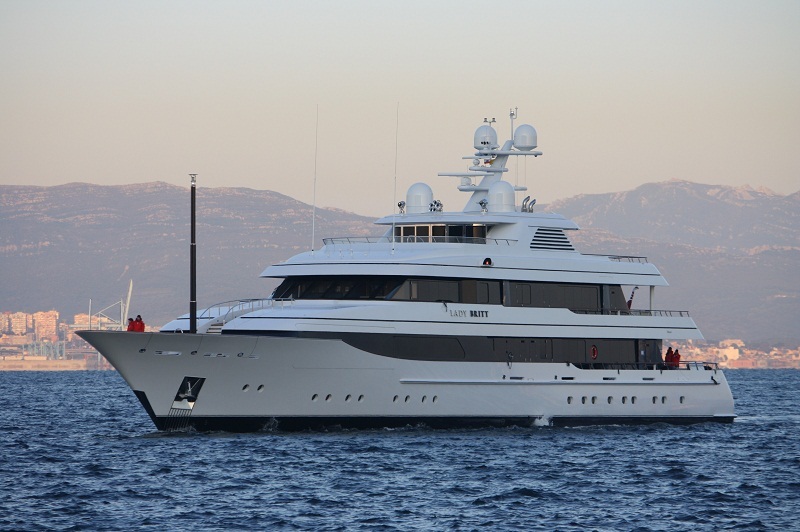 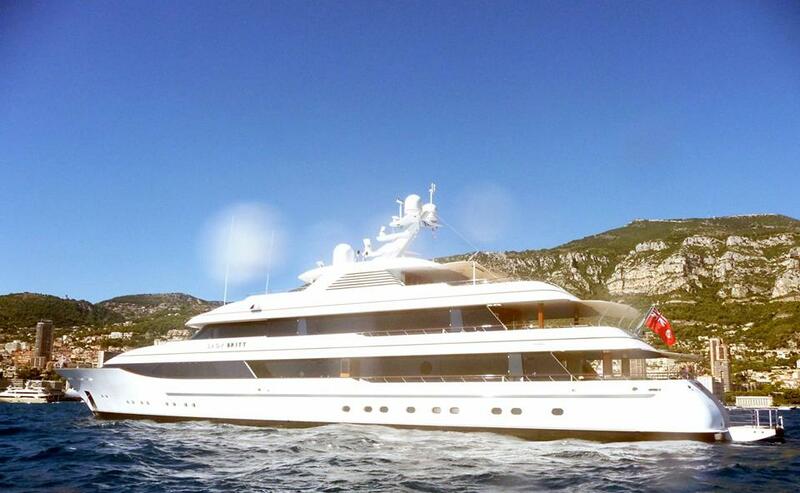 LADY BRITT is powered by two MTU 16V4000 M61R, 1520 kW @1600 rpm engines. 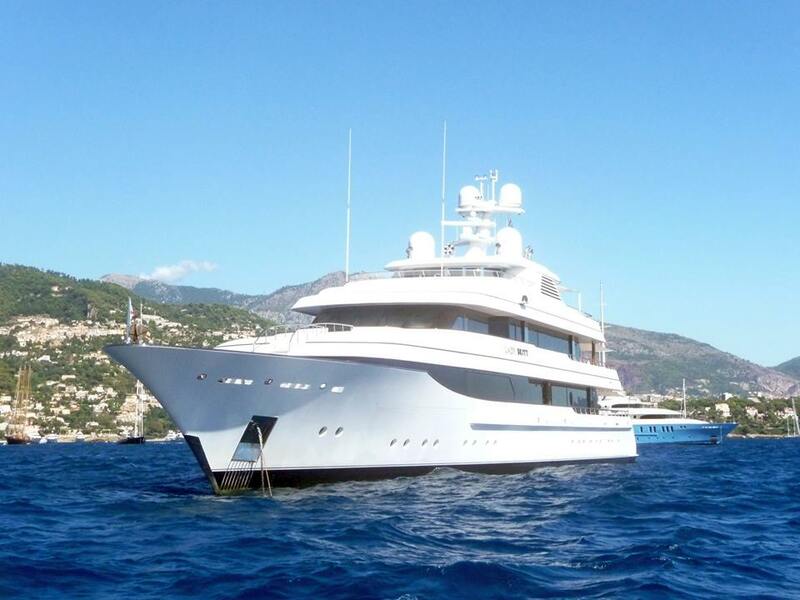 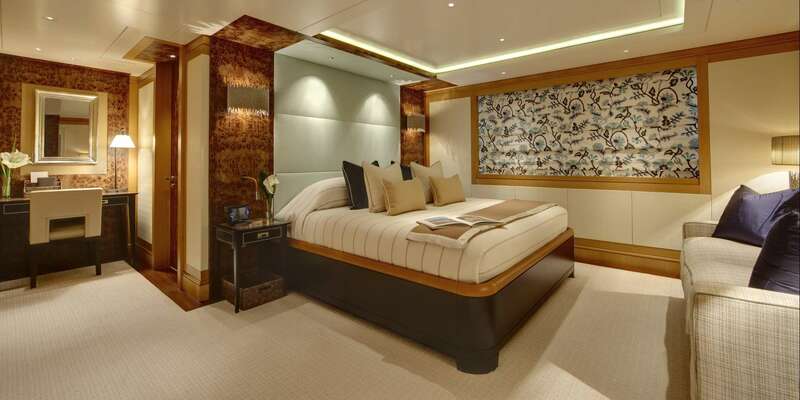 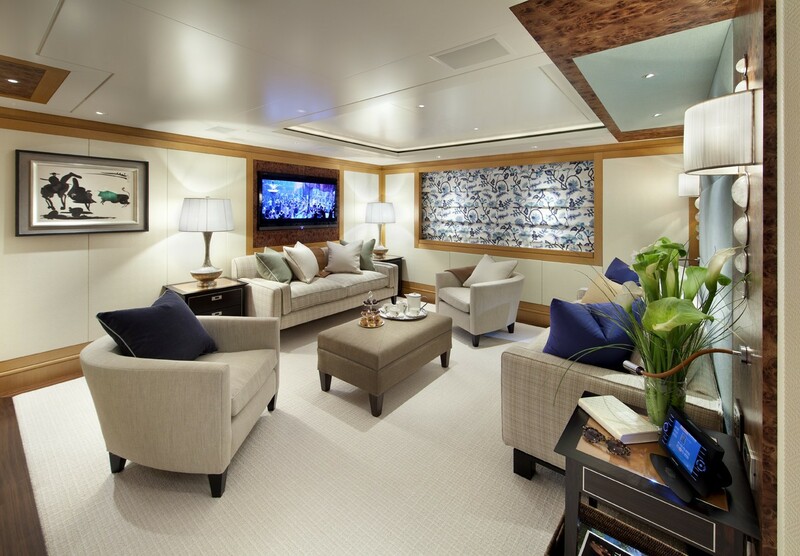 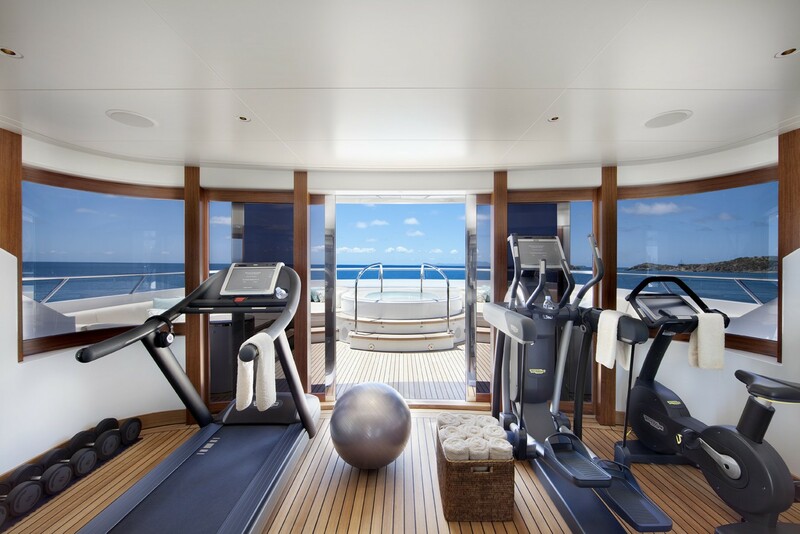 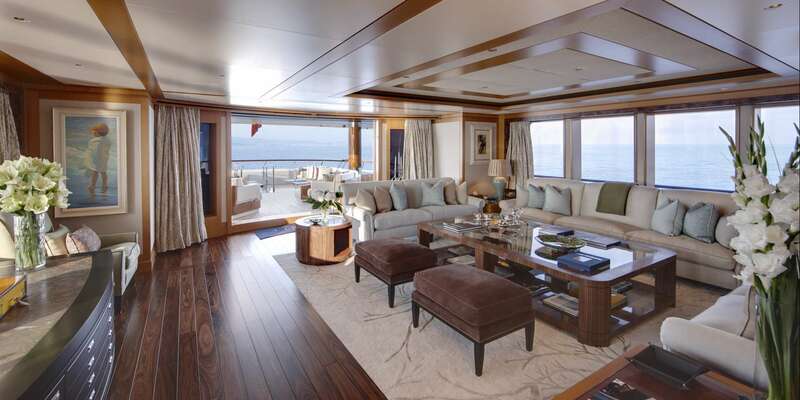 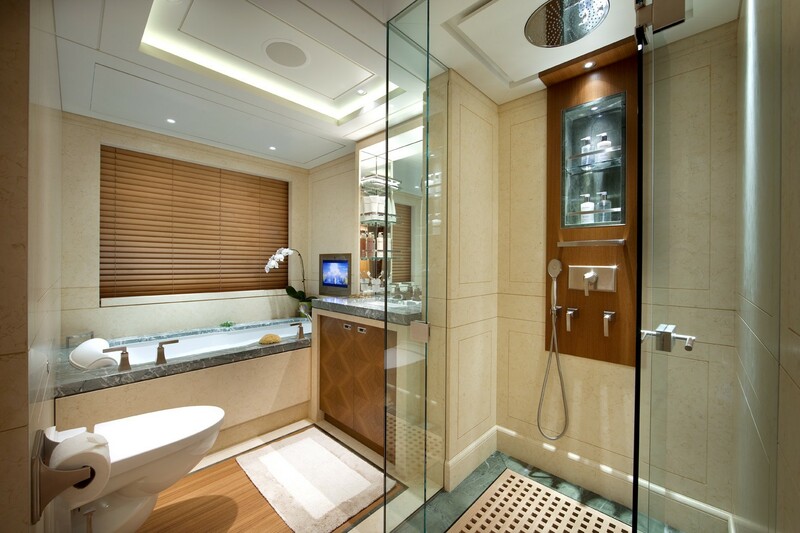 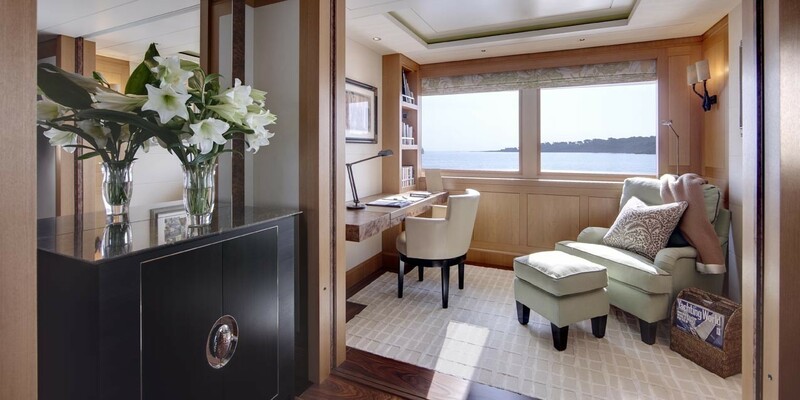 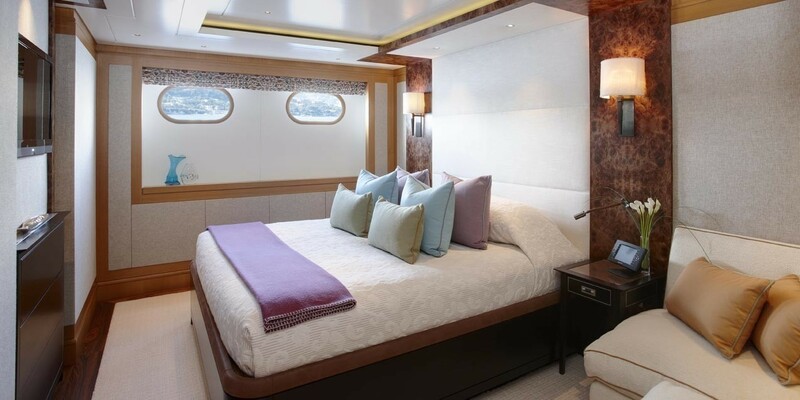 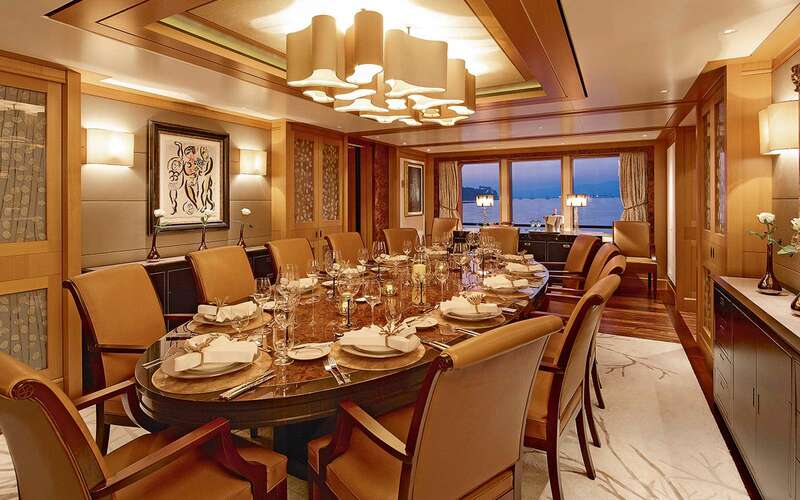 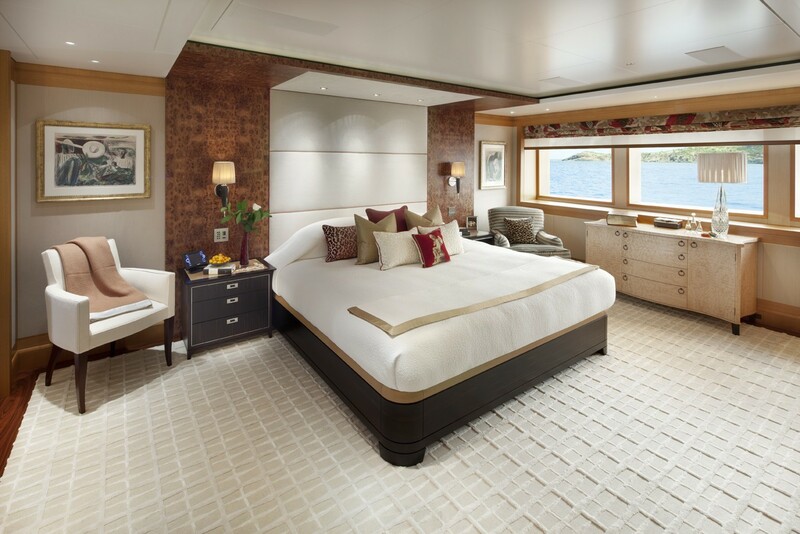 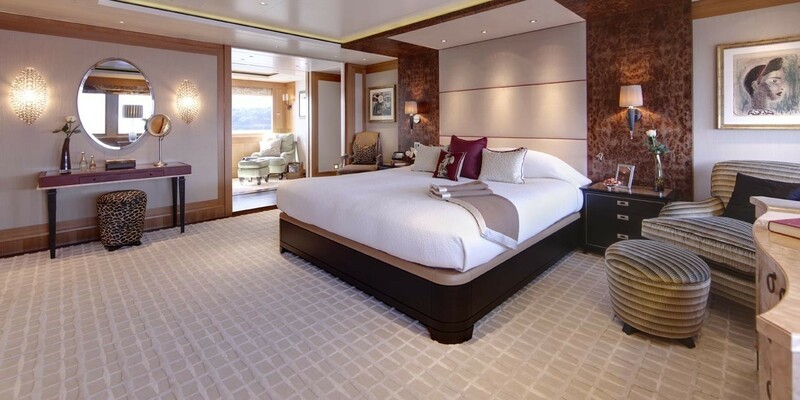 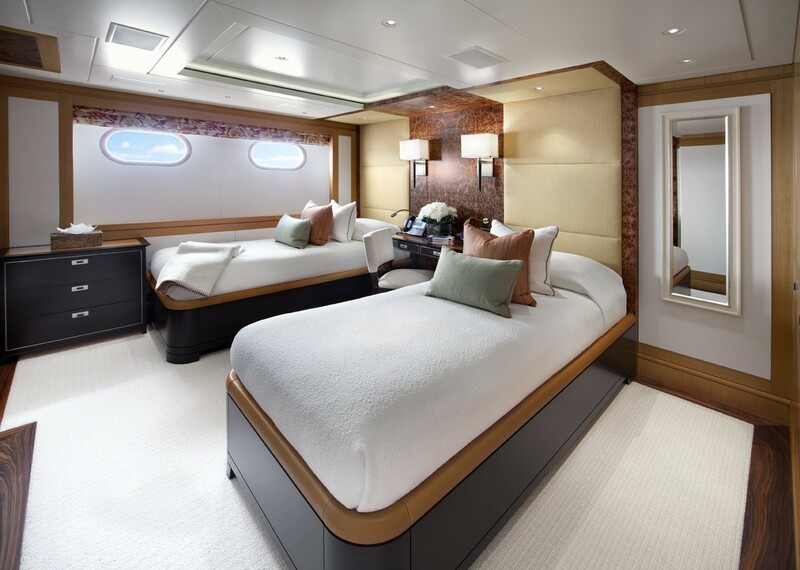 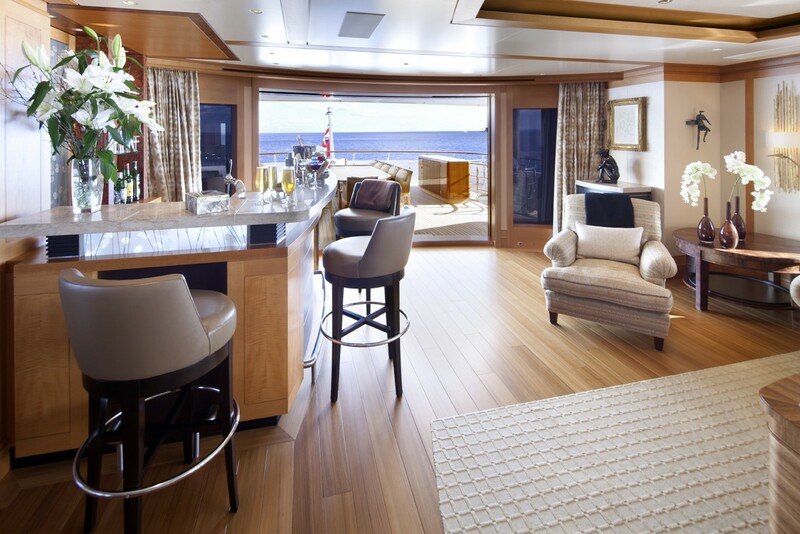 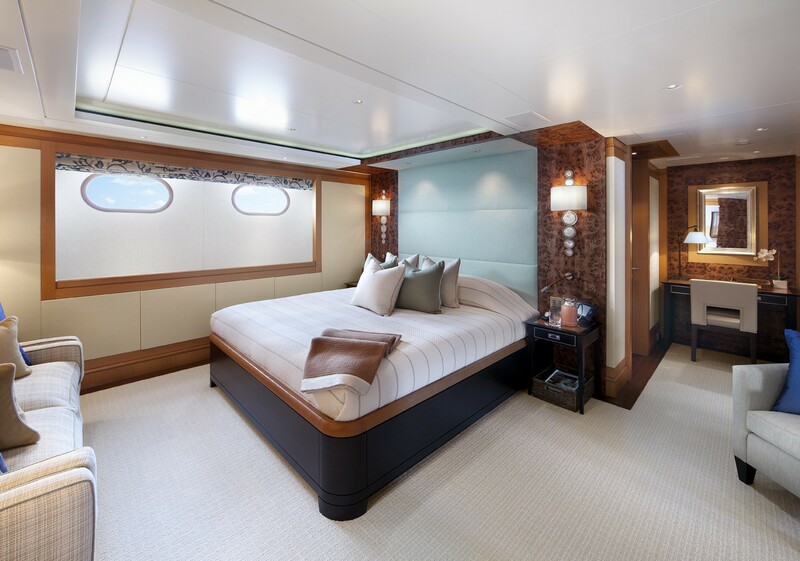 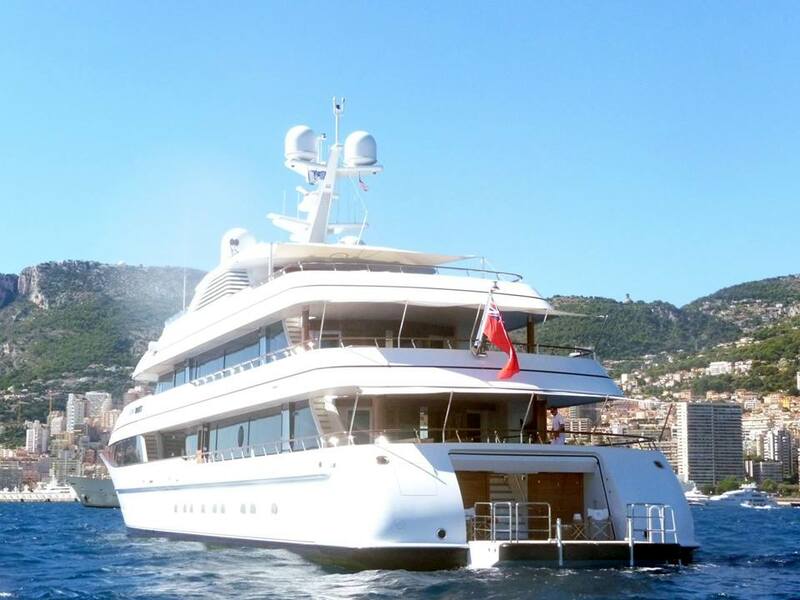 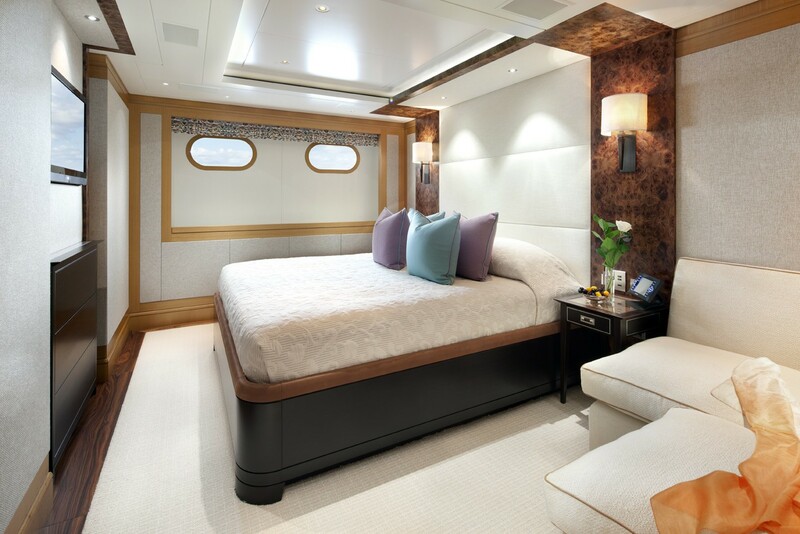 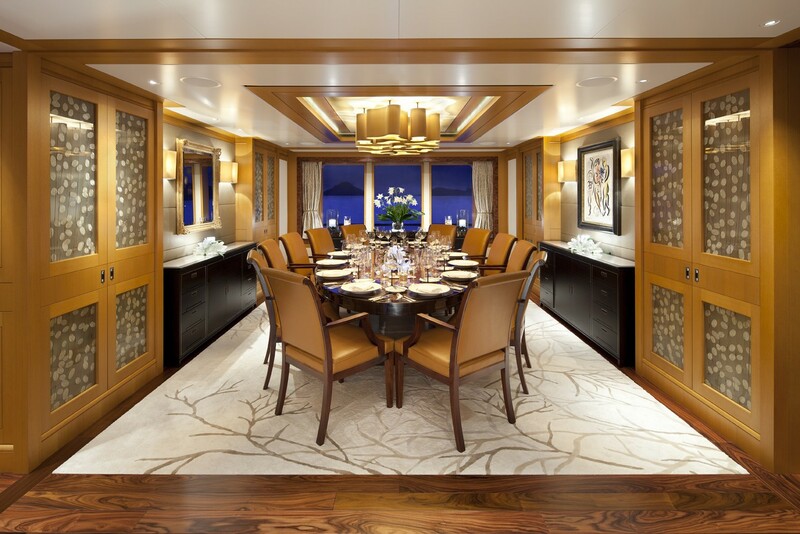 The accommodation on board of the super yacht LADY BRITT COMPRISES of the Owners' stateroom, with separate his and her bathroom, his and hers dressing study and twelve guests can be accommodated in six guest staterooms. 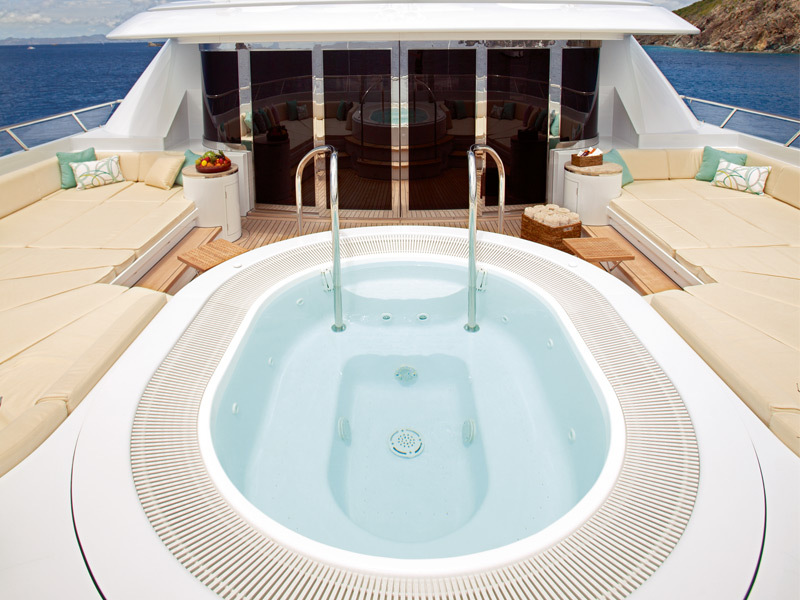 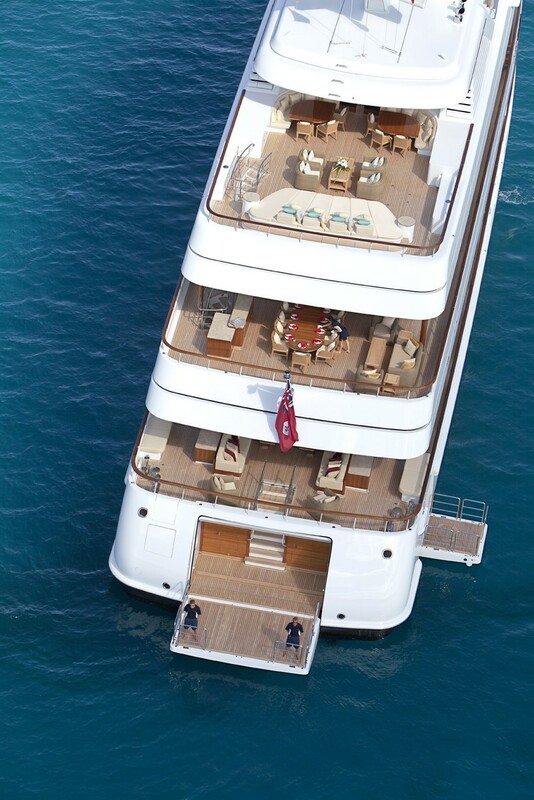 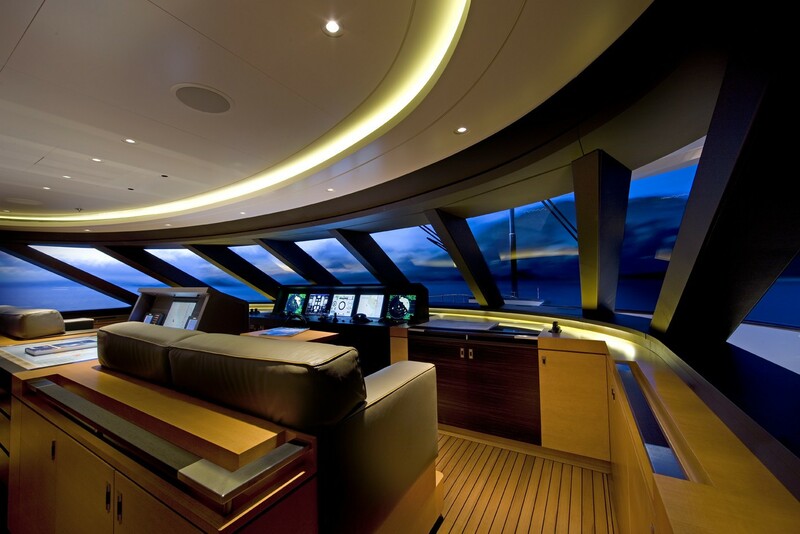 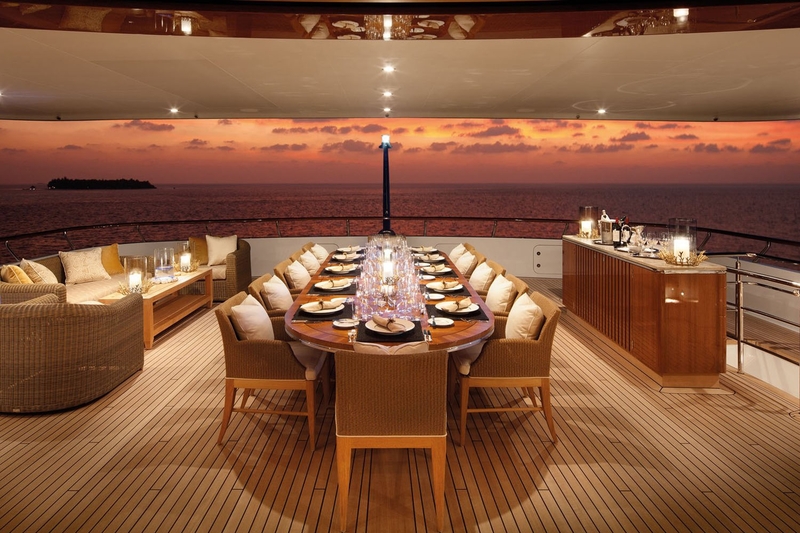 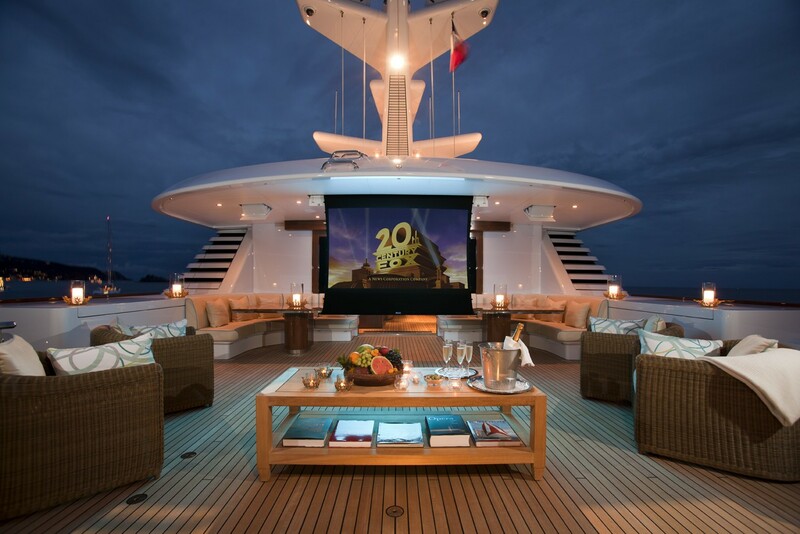 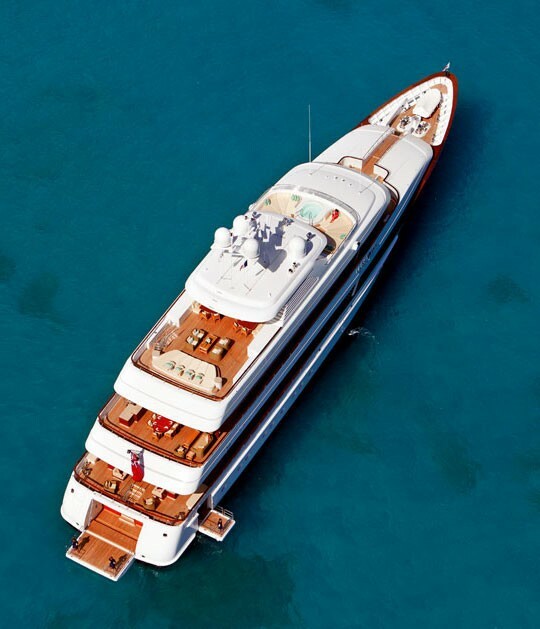 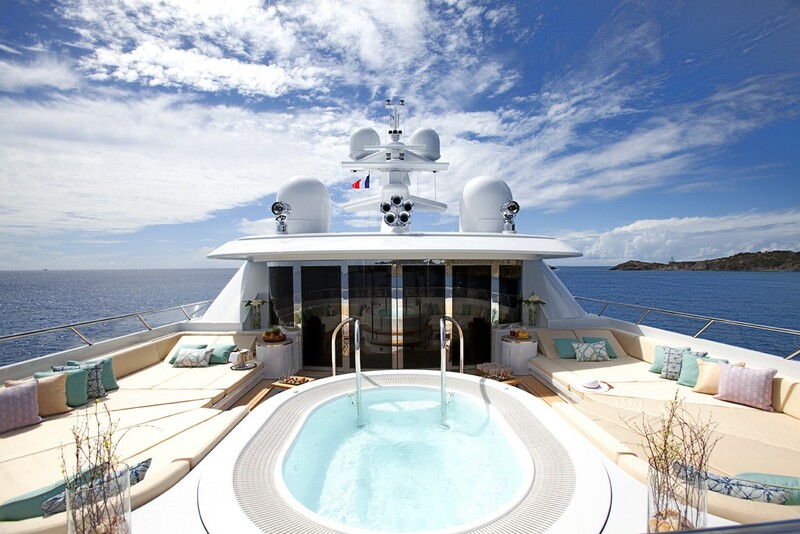 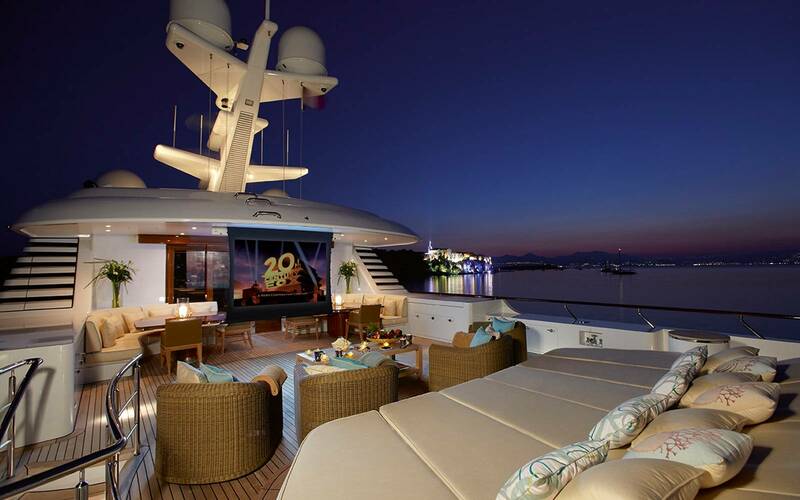 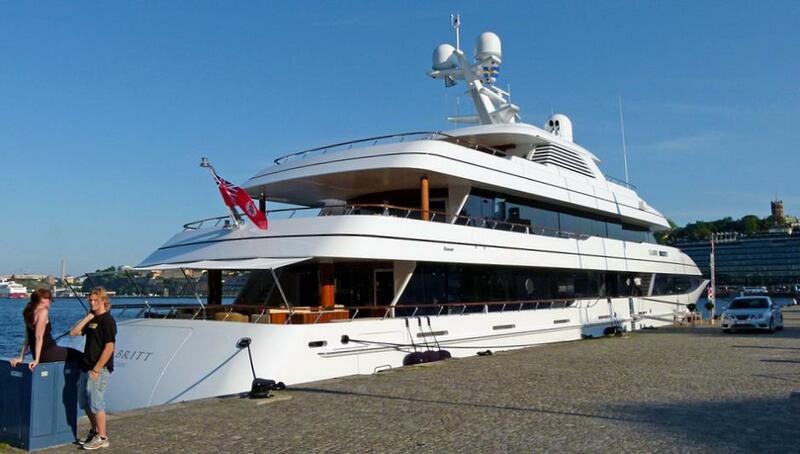 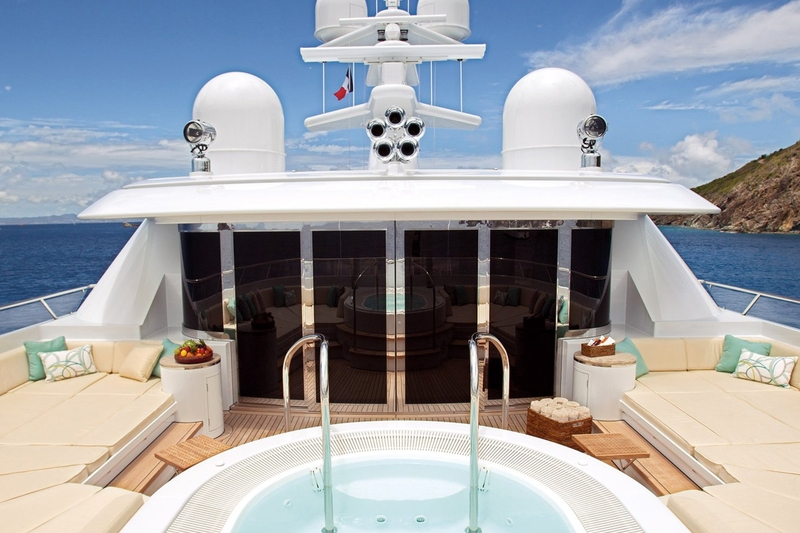 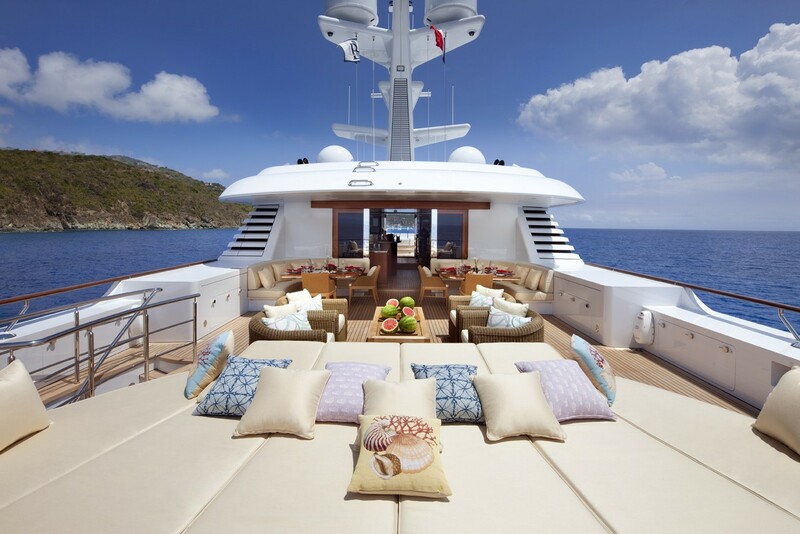 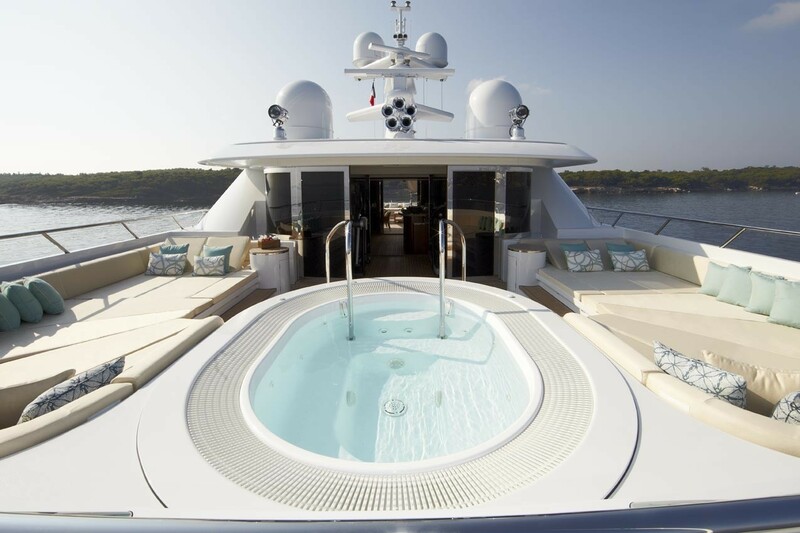 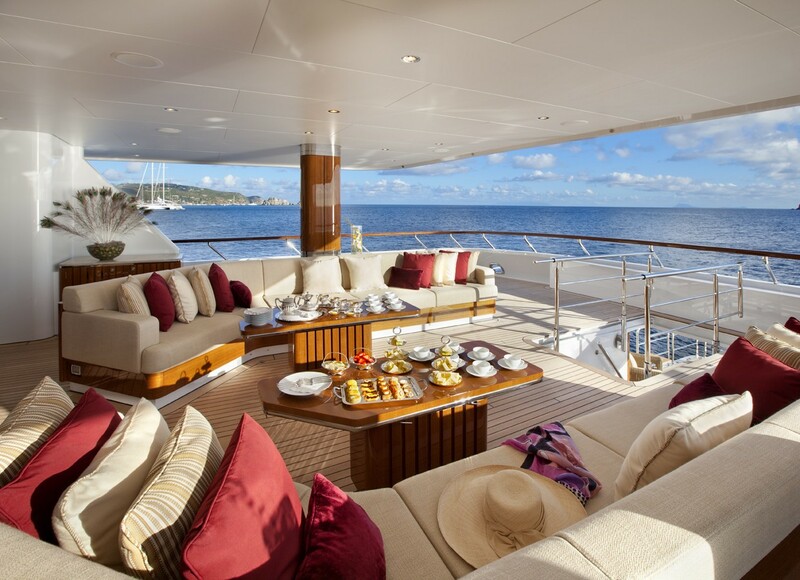 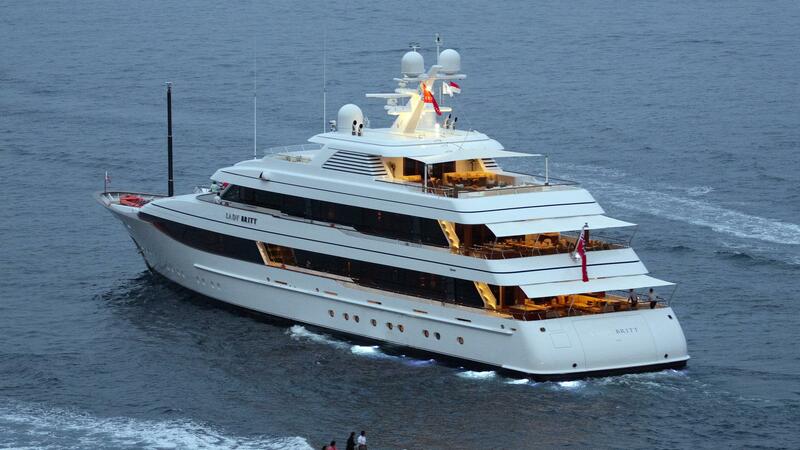 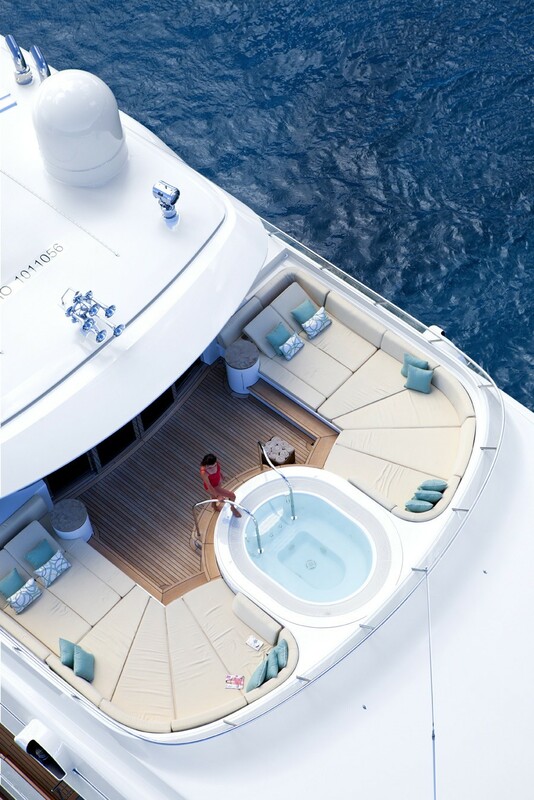 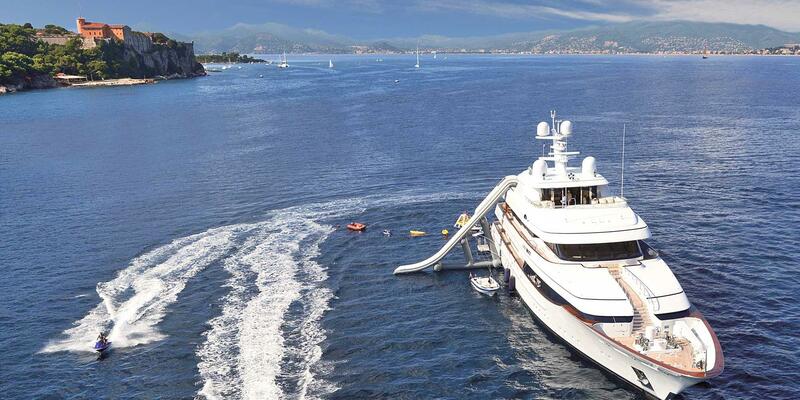 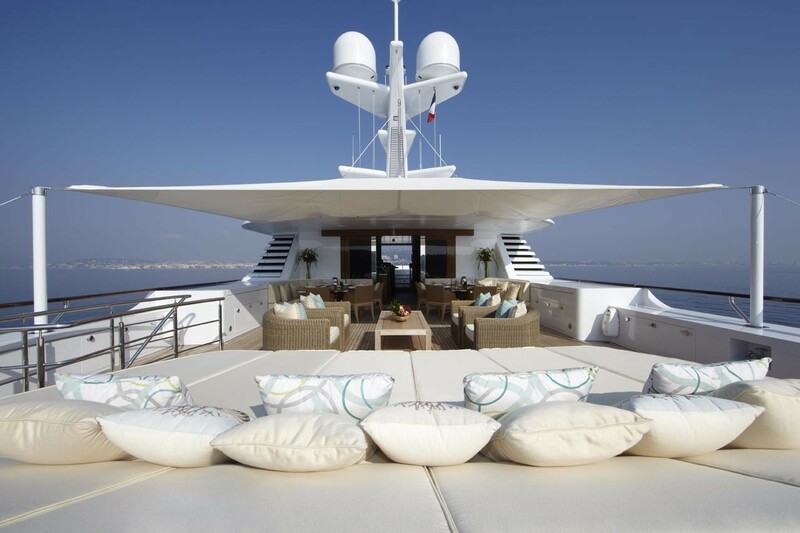 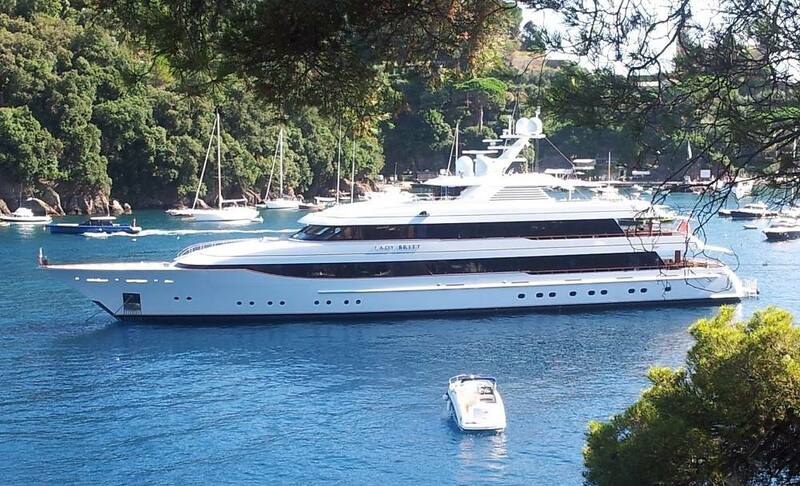 This arrangement makes her ideal as a charter yacht. 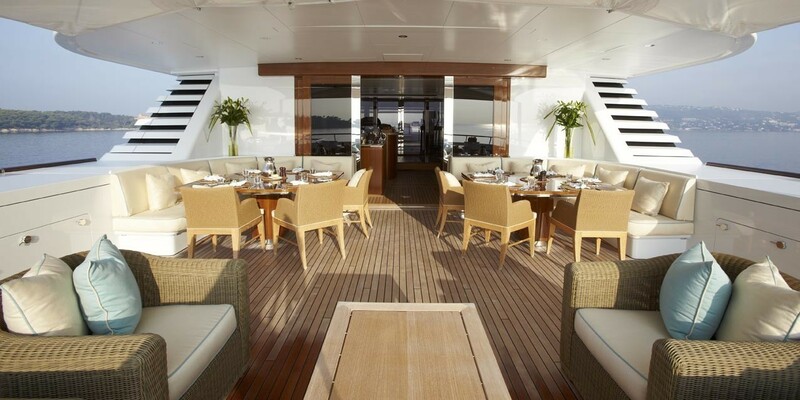 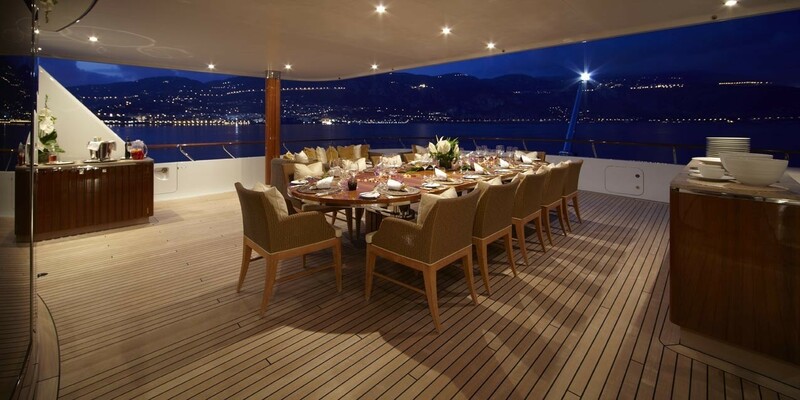 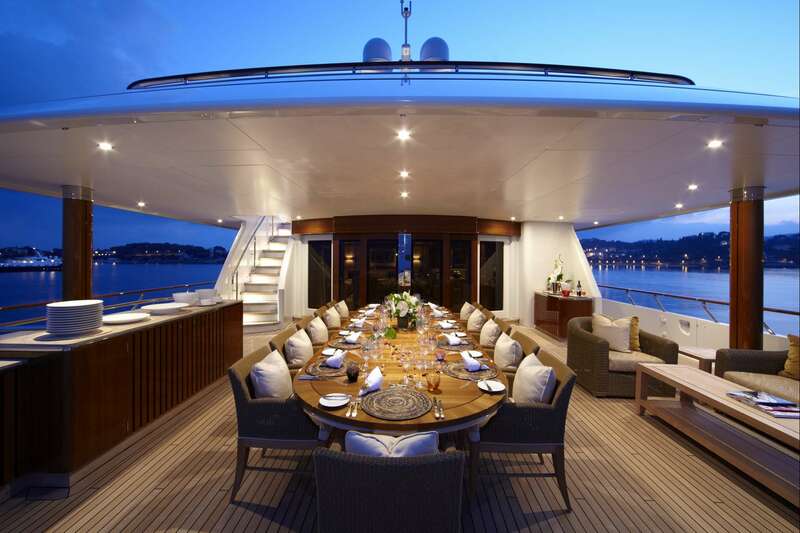 Main deck lounge and dining area seat fourteen people. 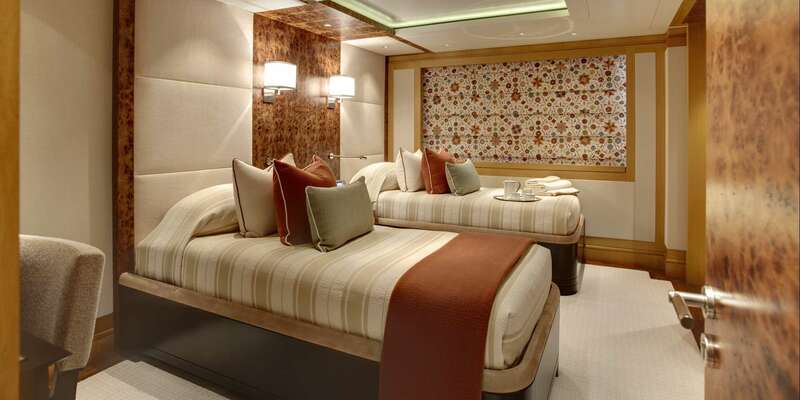 There is also accommodation for a crew of fifteen in eight crew cabins, and two can be accommodated in captains cabin. 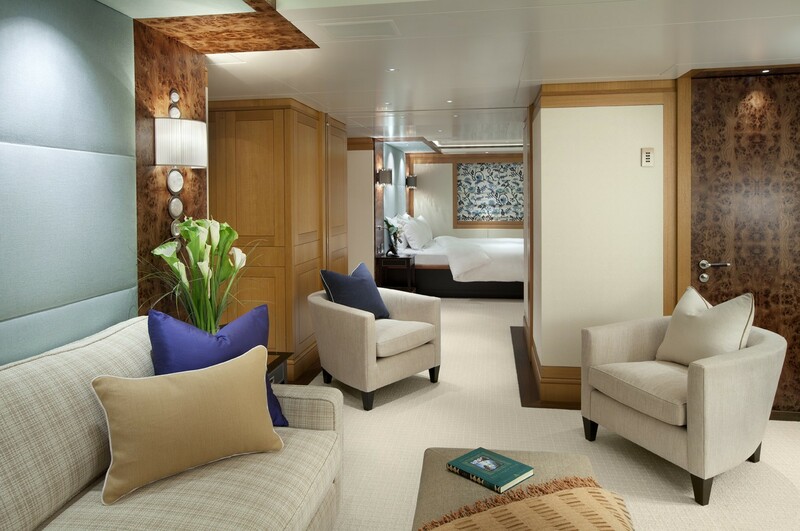 Laundry can be found on the lower deck, and the storage rooms are situated on tank deck. 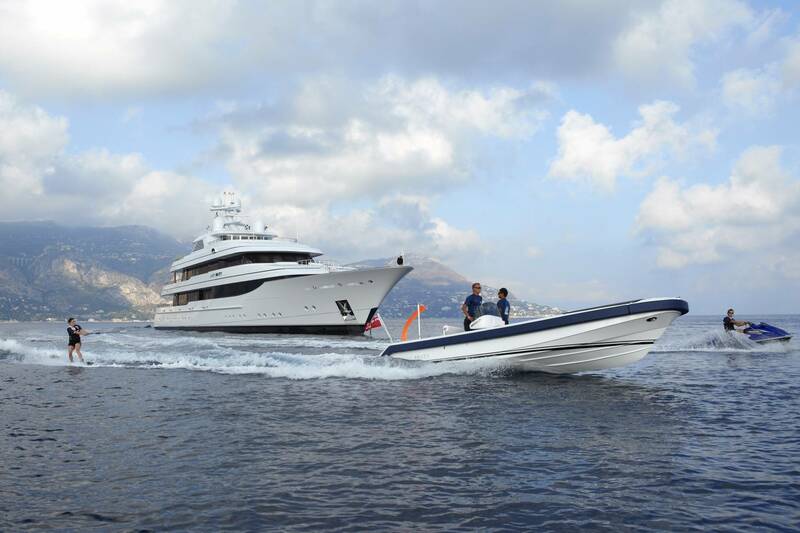 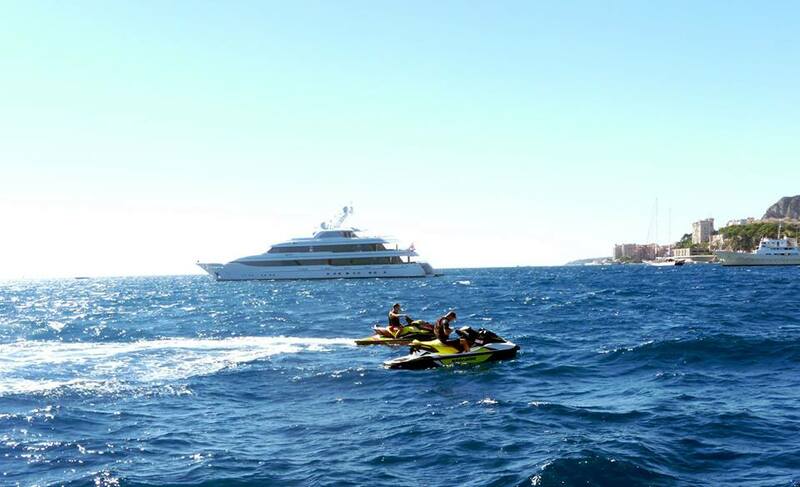 Tenders and Toys include: 2 x 7.5m Custom Tenders - Yachtwerft Meyer, 1 x 4.2m MCA MOB boat, 2 x Laser Pico Sailing dinghies, 2 x 3 seater Waverunners, 1 x stand up Waverunner Superjet, 2 x Ocean Kayaks, 2 x Windsurfers, Waterskis, Wakeboards, Kneeboard, Tubes, Towable Toys, Fishing Gear, Dive Compressor, 6 x sets of Scuba Gear (Rendez-vous only). 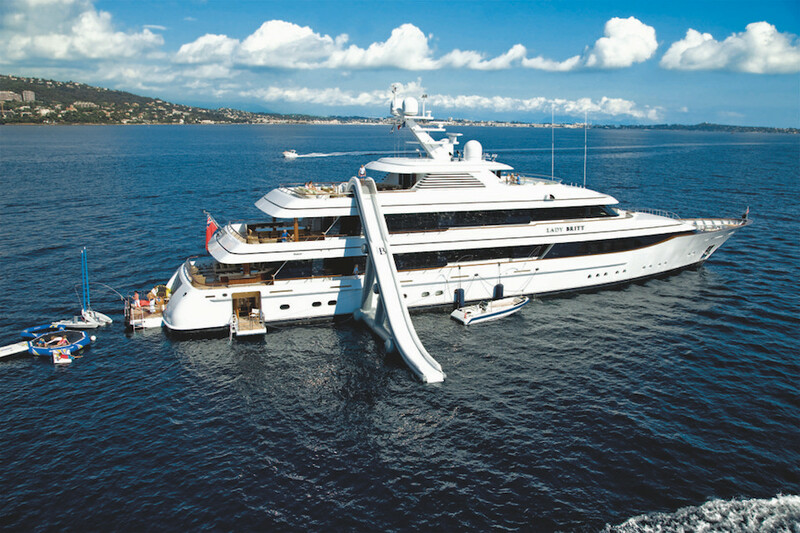 New Inflatable Toys - Summer 2013: 1x 10.6m Sun Deck Water Slide, 1 x Aqua Glide Jungle Jim, 1 x Aqua Glide Runway, 1 x Aqua Glide Fiesta, 1 x Aqua Glide Inversible, 1 x Aqua Glide Swinstep, 2 x F7 Seabobs, 2 x Luxe Beach Pavilion's 16ft x 16ft Gym Equipment: 1 x Technogym Jog Visio treadmill with own TV screen, iPod connection & wireless headphones; 1 x Technogym Vario Visio elliptical trainer with own TV screen, iPod connection & wireless headphones; 1 x Technogym Bike Visio with own TV screen, iPod connection & wireless headphones; Technogym free weights and yoga mats. 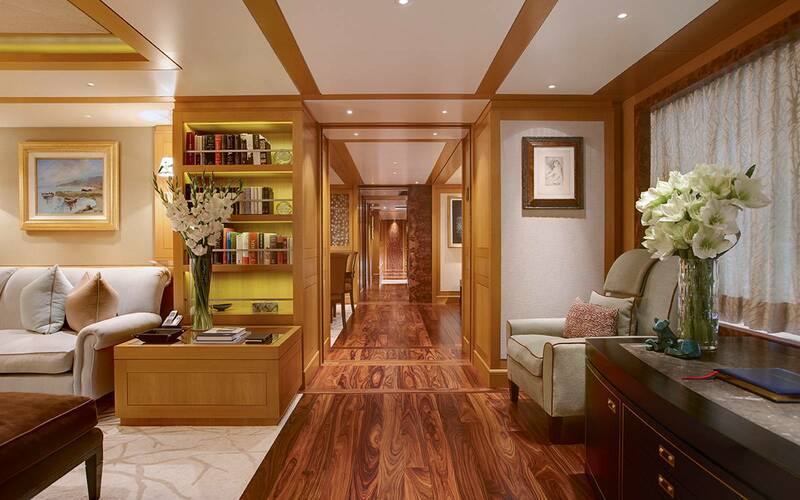 Dedicated Wellness Spa for Elemis massage, beauty and hair treatments. 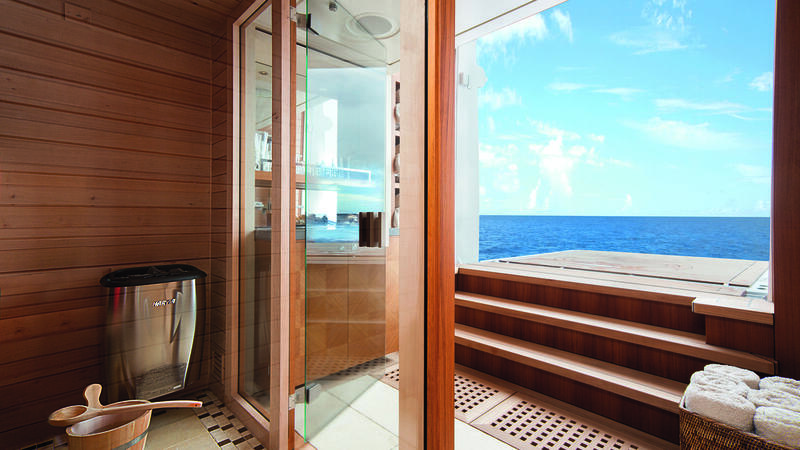 Authentic Finnish sauna with separate fold down platform to the ocean. 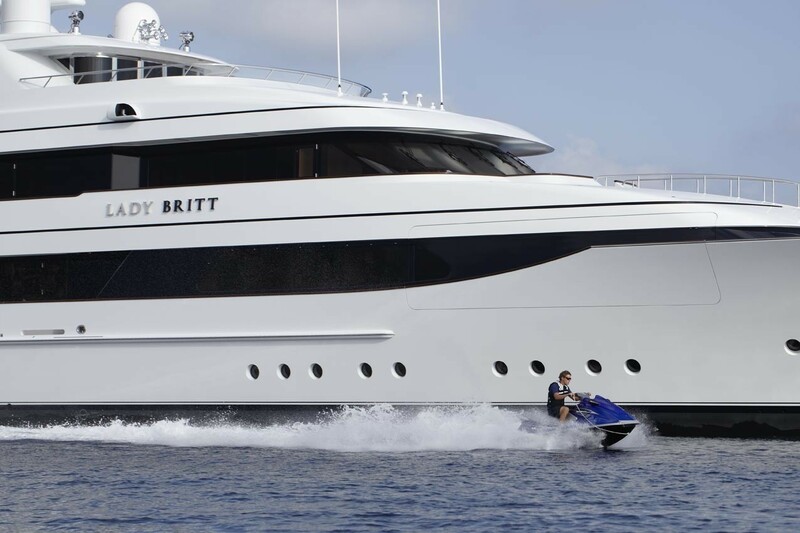 LADY BRITT is now a RYA training establishment for jet-skis. 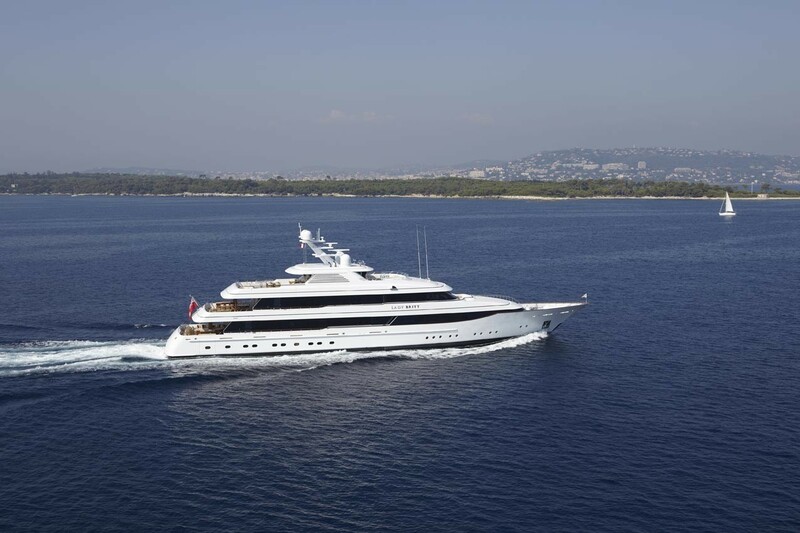 After a one hour training session and safety briefing the license can be awarded to guests on board and remains valid for one year.